6 OPUS V BOOSTER PACKS AN EXCLUSIVE LIGHTNING FOIL PROMO CARD AN EXCLUSIVE PACK OF SLEEVES, featuring the Scions of the Seventh Dawn from FINAL FANTASY XIV! 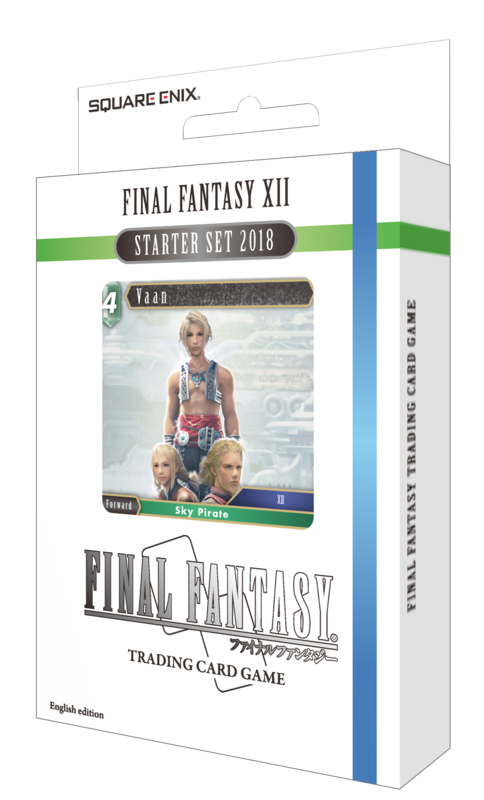 FINAL FANTASY TCG - OPUS 5 FINAL FANTASY XII STARTER DECK 50 Cards per Deck From the multi-million selling Final Fantasy franchise comes a brand new trading card experience! This 2-player game has even more cards for you to collect in the Opus V collection, the latest set of Final Fantasy TCG to be released to the Western market. 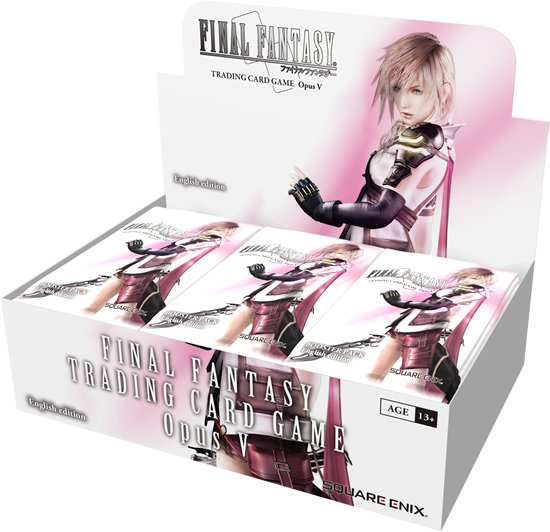 Begin your Final Fantasy TCG adventure with one of the starter sets! Starter sets include: One 50 card deck One paper playmat One set of rules There are three new varieties of Starter Set, based on the worlds and characters of popular Final Fantasy video games: Final Fantasy XII, Final Fantasy XIII and Final Fantasy XIV With one of our starter decks, you’ll have everything you need to start playing the Final Fantasy TCG. 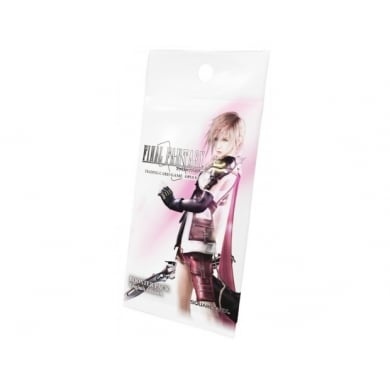 FINAL FANTASY TCG - OPUS 5 FINAL FANTASY XIII STARTER DECK 50 Cards per Deck From the multi-million selling Final Fantasy franchise comes a brand new trading card experience! This 2-player game has even more cards for you to collect in the Opus V collection, the latest set of Final Fantasy TCG to be released to the Western market. 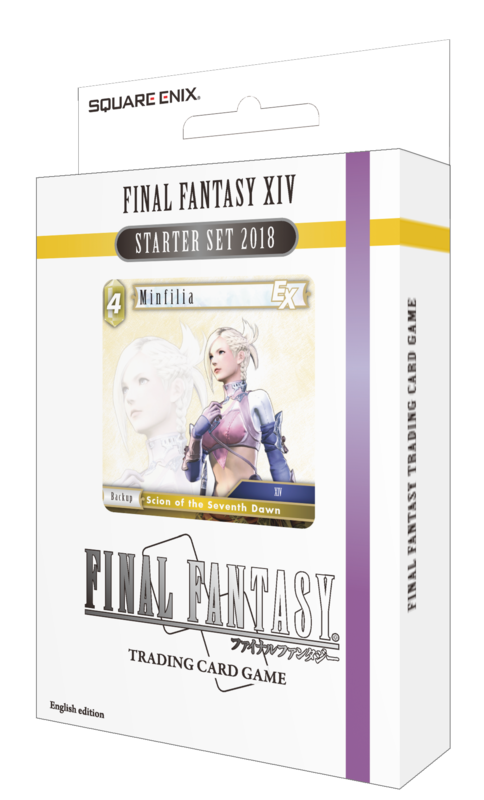 Begin your Final Fantasy TCG adventure with one of the starter sets! Starter sets include: One 50 card deck One paper playmat One set of rules There are three new varieties of Starter Set, based on the worlds and characters of popular Final Fantasy video games: Final Fantasy XII, Final Fantasy XIII and Final Fantasy XIV With one of our starter decks, you’ll have everything you need to start playing the Final Fantasy TCG. FINAL FANTASY TCG - OPUS 5 FINAL FANTASY XIV STARTER DECK 50 Cards per Deck From the multi-million selling Final Fantasy franchise comes a brand new trading card experience! This 2-player game has even more cards for you to collect in the Opus V collection, the latest set of Final Fantasy TCG to be released to the Western market. Begin your Final Fantasy TCG adventure with one of the starter sets! Starter sets include: One 50 card deck One paper playmat One set of rules There are three new varieties of Starter Set, based on the worlds and characters of popular Final Fantasy video games: Final Fantasy XII, Final Fantasy XIII and Final Fantasy XIV With one of our starter decks, you’ll have everything you need to start playing the Final Fantasy TCG.